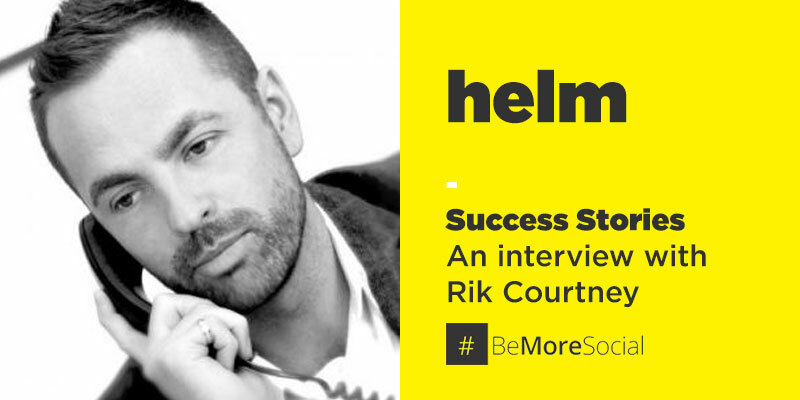 Rik is the Managing Director of Be More Social, a social media marketing agency that’s been helping businesses with social media for over 11 years. It’s safe to say Rik knows his stuff. Ahead of our Helm #MakeItHappen event – where Rik will be talking about how to get started on social media and use it for your business – we grabbed him for a quick interview to see what makes him tick. Helm: Tell us a little about yourself and your business? RC: I’ve been in marketing for 20 years and I love it! I’ve seen every shift from sticking bits of bromide together, to the dawn of the internet and now social media. I’ve worked hard to help others master the benefits of social media marketing, including many national clients. Helm: Why do you do what you do? RC: I love mixing the the art and science of social media and watching it work wonders. Helm: What’s your most memorable experience in business? RC: Wow there’s been many! The one I remember the most was when someone gave me half of a restaurant for what we were able to achieve in a week. Helm: What popular social media advice do you disagree with? RC: Hmmm, using auto publishers to post to all platforms to save time. Helm: What’s the single most important reason for your success? RC: Passion and a thirst for knowledge – I have to know how things work. I also apply my 21 years experience to everything I do. Helm: What’s your favourite metaphor for describing business/entrepreneurship? RC: The best revenge is massive success. Helm: How is running a successful business different than what you thought it would be? RC: Being successful isn’t easy. I thought that when I got there it would start to get easier but you actually have to work harder, faster and smarter. Helm: Looking back, what’s one thing you wish you understood about business before you got started? RC: To act and just do it. It’s so important to get stuff done and make that call now! 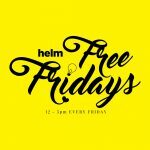 Helm: What sales advice would you give to someone new in business who’s looking to get their services in front of new clients? RC: Don’t be afraid to make that call. Tap on the shoulder, reach out and make yourself known. Helm: What’s the biggest mistake you see people making on social media and how can they fix it? RC: The biggest mistake is when people just broadcast post after post and wait for the engagement to come. You must reach out and engage if you want to make things happen on social media. Keep learning – it’s the key to success. Let people know you’re there. It’s the only way you’ll get your business in front of clients. For social media to work you must reach out and engage with others. Thanks for your time Rik, we look forward to hearing even more great advice from you at our #MakeItHappen event this Thursday! We’re down to our last few tickets so make sure you grab one before they run out. All proceeds are being donated to Mission Christmas: Cash for Kids.